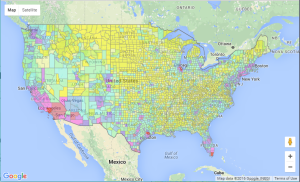 GIS: put your data on a digital map for a better decision making process. Maps are one of the most effective techniques for data visualization and analysis. We create interactive maps and appealing visualizations of your data on the web. We create weblinks for your maps making them available on the Internet. You can do queries and do specific searches. You can also post them in your own website. We make your map accessible on the web using Google Earth. Your data will be available for anyone who has access to Internet. Users can see your outcome results and interact with your data. Your Data on a digital map. Maps are one of the most effective techniques for data visualization and analysis. 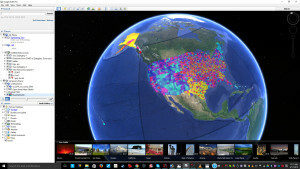 We create interactive maps and appealing visualizations of your data on the web. We use highly effective techniques to make sure that your grant application gets the value that it deserves. We have collaborated in getting grants successfully funded. We help to assess what works and what it needs to be improved on a program, and how to get the expected results within a timely and cost/effective manner. © 2016 GIS Human Dimensions LLC. .